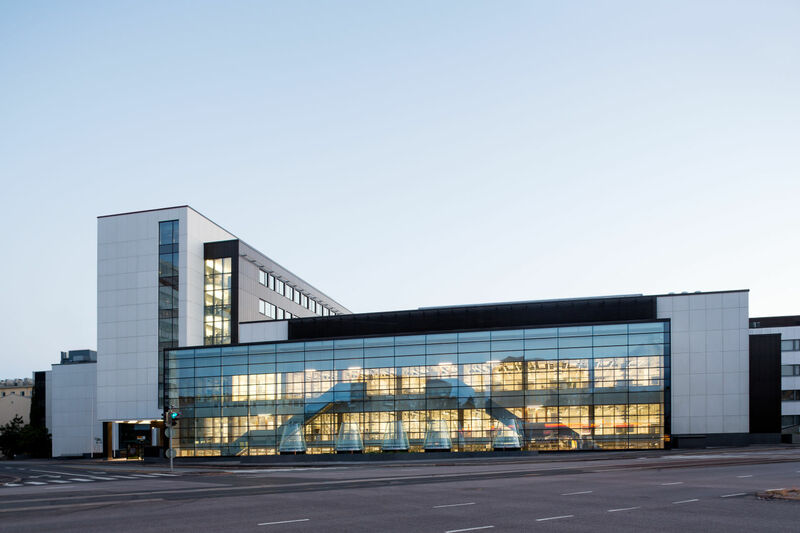 The laboratory center in the Meilahti hospital complex in Helsinki, Finland is a masterpiece of builders and designers alike. The geometrically convoluted frame, designed for a cramped plot, consists of Peikko’s Composite Frame solution combined with cast-in-place concrete structures of the underground floors. 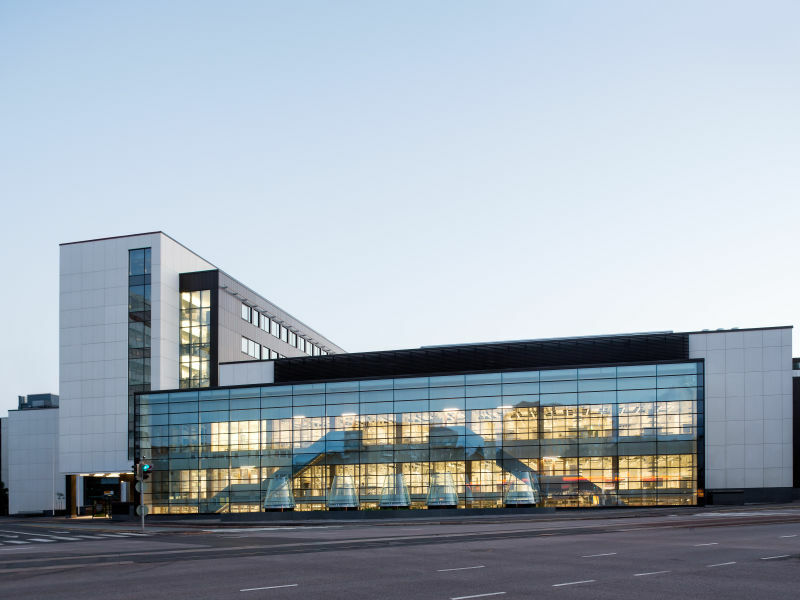 The Meilahti hospital complex in Helsinki, Finland, is already densely built. Creative architecture, however, has come up with solutions that meet the users' needs more than well. A fine example of this is the HUSLAB laboratory center. The scope of HUSLAB activities becomes evident by the sheer number of tests; more than 19.5 million per year. Thus far, laboratory work has been conducted in several sites, but the new building will gather it all under the same roof. 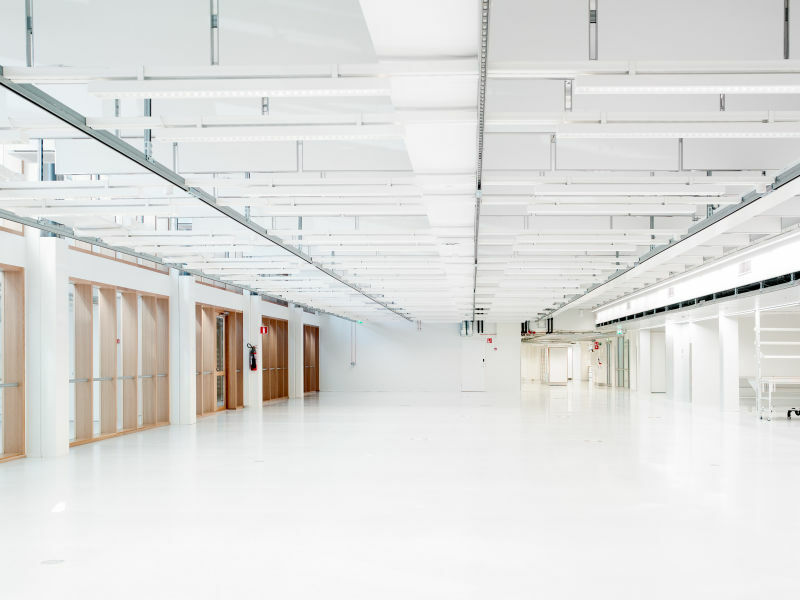 All building and hospital infrastructure needed in a modern laboratory will be installed under the ceiling, invisible above a suspended ceiling. "There is a lot of hospital technology, which is why we must think of use of space. 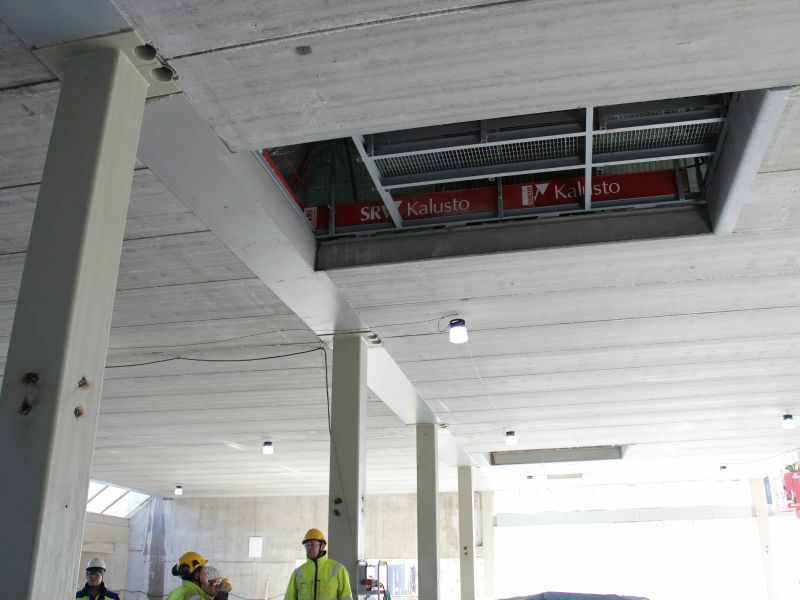 One of the benefits of using DELTABEAM® is that there is more space for hospital technology," says Site Manager Jukka Nikkola from SRV Rakennus, the company responsible for project management. According to Mr. Nikkola, cost was a criterion even more important than space in this project, too. 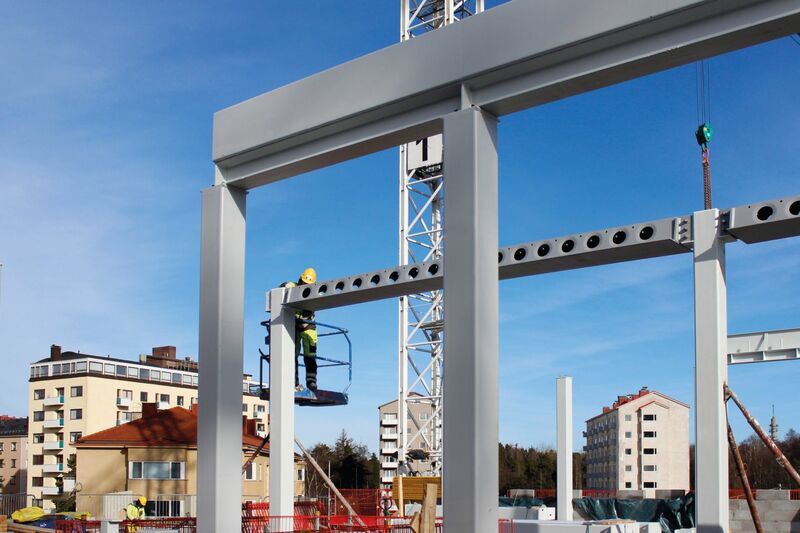 "We compared carefully all the options, and a composite frame solution, that is Peikko’s DELTABEAM® Composite Beams and Composite Columns, proved to be the most economical solution," he says. 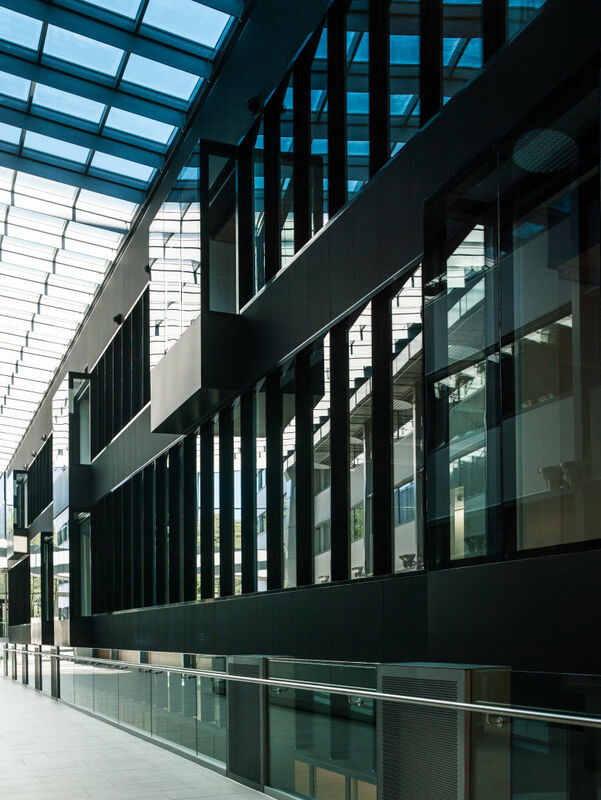 It enables slender and light structural solutions that provide savings in volume and costs. The bidding contest on the frame solution was held on during 2013. As always, Peikko Finland drew careful calculations before submitting its tender. 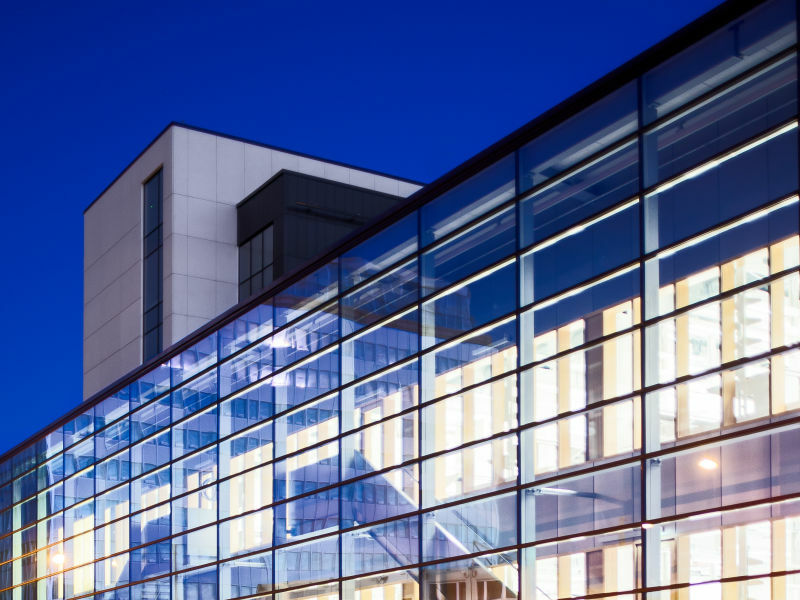 The goal was to find the optimum solution for the project, one of the most ambitious Peikko has undertaken. "We offered a composite frame structure based on DELTABEAM®, following the main structure plan devised by Ramboll. 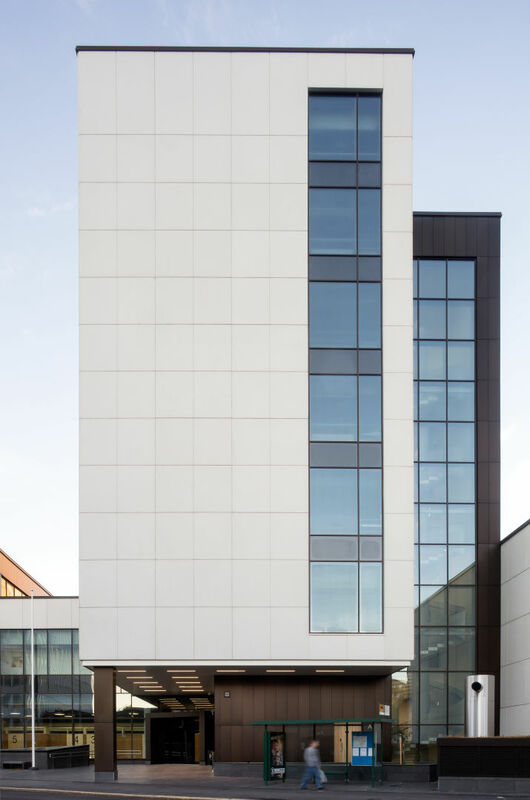 In addition to our own products, we decided to include also complementing products, such as fire-protected ventilation machine room frame structures," says Composite Frame Business Manager Tomi Tuukkanen. HUSLAB comprises three subterranean stories and three or seven above-ground stories. Total area is some 22 000 square meters and total volume some 23 000 cubic meters. 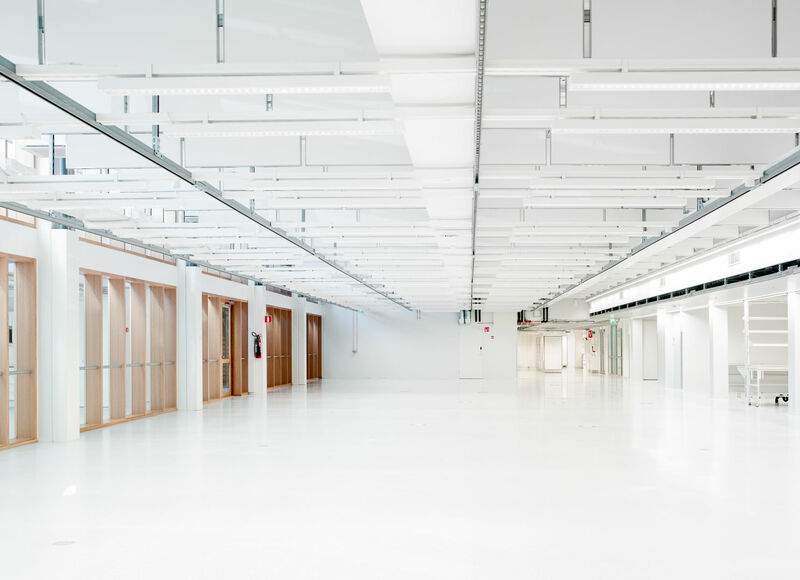 Due to abundant hospital technology, the rooms are higher than normal; the most common ceiling height is 4.5 meters, some extending to 5.5 meters. This obviously impacted the dimensions of the columns; they had to be unusually robust for office building. 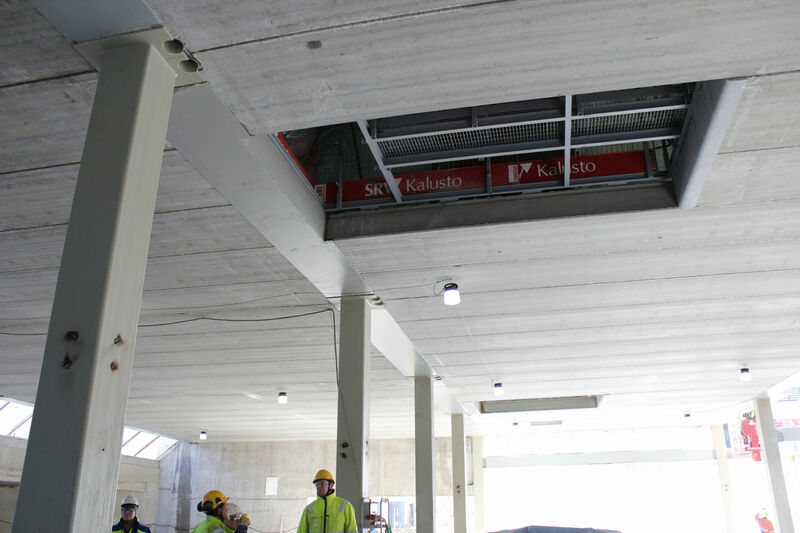 "All in all, we delivered about 250 tons of Composite Columns and 500 pcs equaling 3.3 kilometers of DELTABEAM® Composite Beams to the site," says Mr. Tuukkanen. What is special about the HUSLAB frame is that at several points, it had to be joined to existing buildings surrounding it. This made mounting the frame an extremely demanding entity that included not only composite structures but plenty of concrete structures. The buyer wanted to sign a contract with just one operator for all mounting work, and chose Peikko from among all those submitting tenders. "This was legitimate if for no other reason then because there was no scheduling leeway. In a way, all stages were equally important from the vantage point of total schedule management. Everything went fine, and by September the ten-month work on the frame was fully completed," says SRV Rakennus Site Manager Kai Elo. 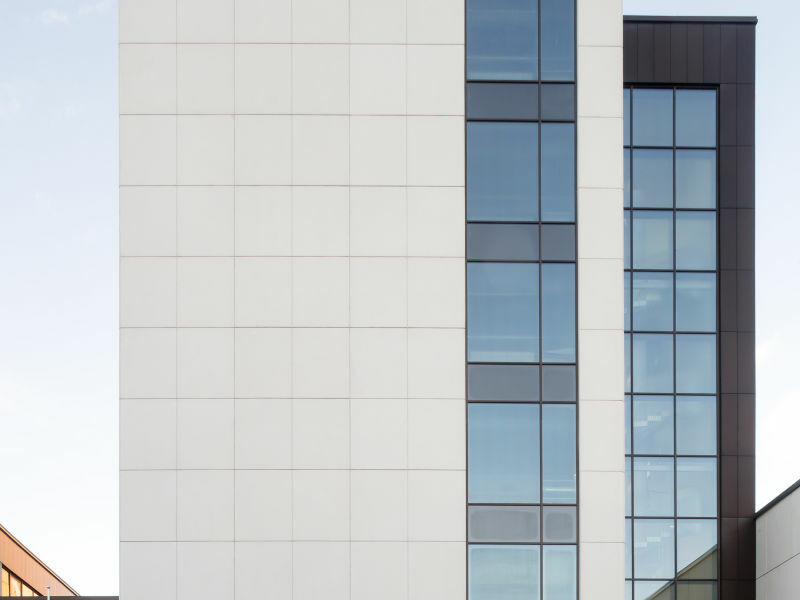 In the HUSLAB project Peikko was responsible for the entire frame erection, including the installation of some 2 000 hollow-core slabs, some 900 wall elements and roughly 550 facade elements. The hollow-core slabs were manufactured by Parma, the other elementsby Betset. 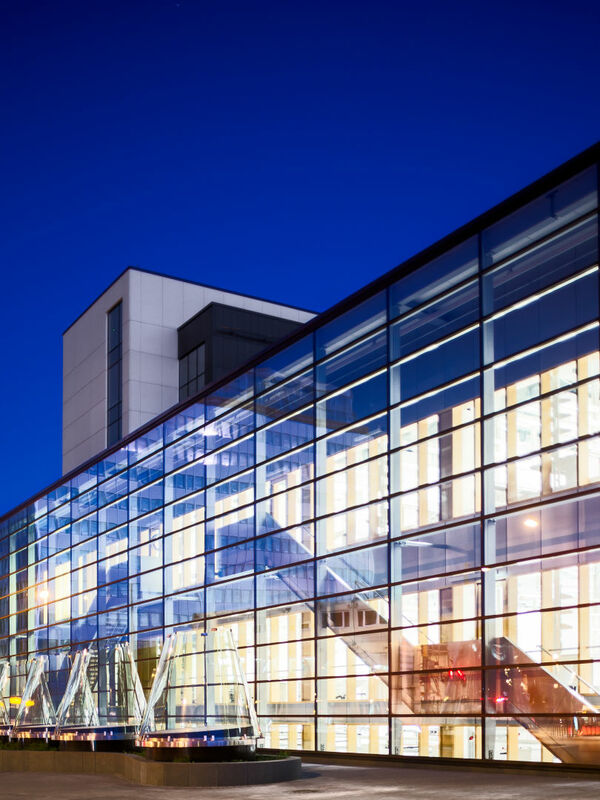 "The role of Peikko in both manufacturing and erecting the Composite Frame Solution was absolutely crucial. Their range of composite structures and connection items used in concrete construction is extensive," says Structural Designer Esa Ikäheimonen from Ramboll Finland, the engineering company responsible for the structural design of the HUSLAB project. Mr. Ikäheimonen sees the unusual dimensions stemming from the cramped plot as something that sets the projects apart from others. The building is diverse, especially its cellar facilities extending three stories under ground level. "As a structural designer, the biggest challenge was to direct the load of upper structures reliably onto the foundation. Peikko’s Composite Frame came to the rescue," Mr. Ikäheimonen says. 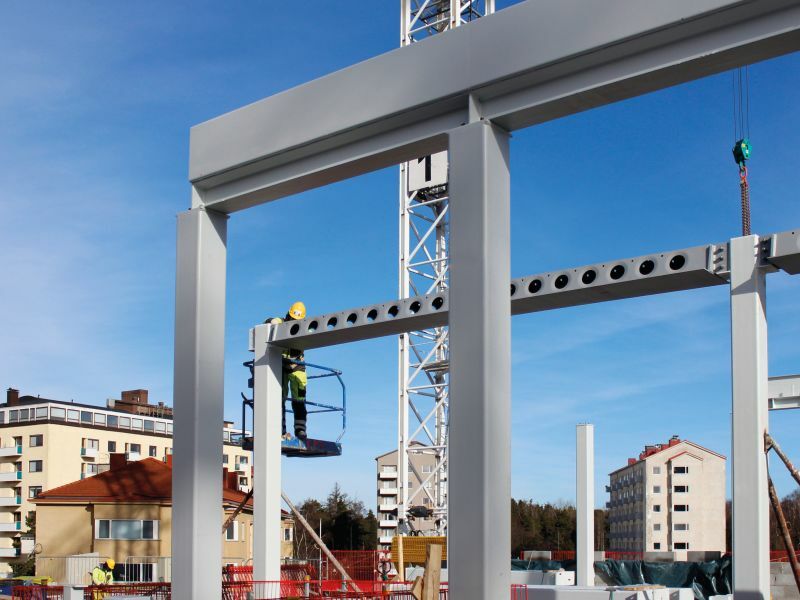 We compared carefully all the options, and a composite frame solution, that is Peikko’s DELTABEAM® Composite Beams and Composite Columns, proved to be the most economical solution. 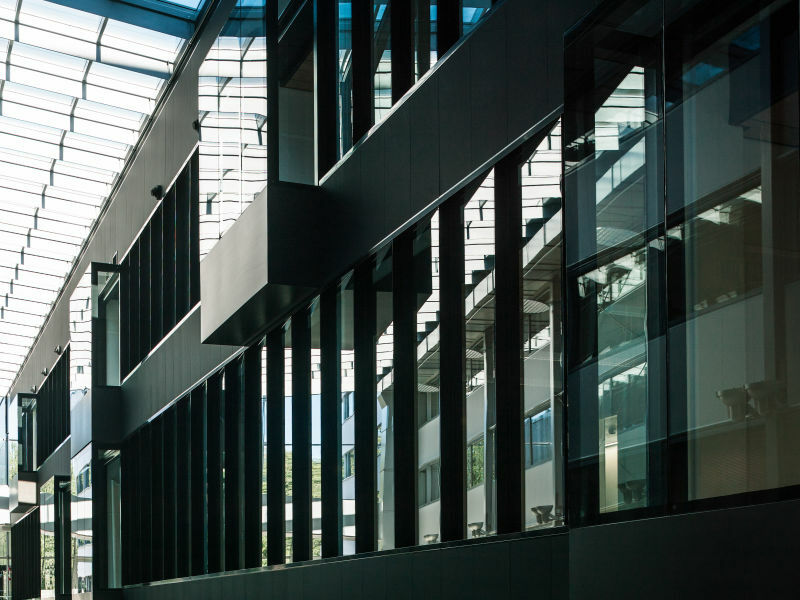 It enables slender and light structural solutions that provide savings in volume and costs.